Wrapping up our series on original Disneyland attractions, today we take a look at one of the major expansions we’ve seen here at the Disneyland Resort … “The New Fantasyland” expansion of 1983. When designing the original Fantasyland, Walt Disney wanted to build a fairy tale village that would take guests into their favorite stories. 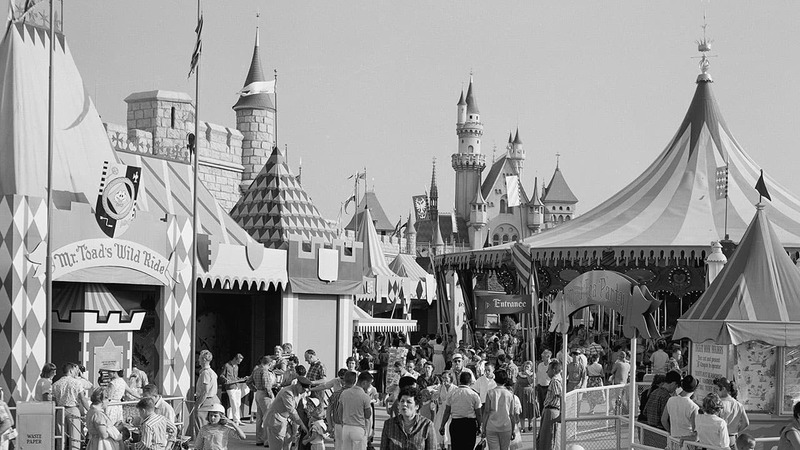 But as the budget for Disneyland had nearly tripled, Walt had to scale back on this ambitious design and develop the area into a medieval fair, with banners and flags decorating the entrances to opening-day attractions like Snow White’s Adventures, Peter Pan’s Flight and Mr. Toad’s Wild Ride. 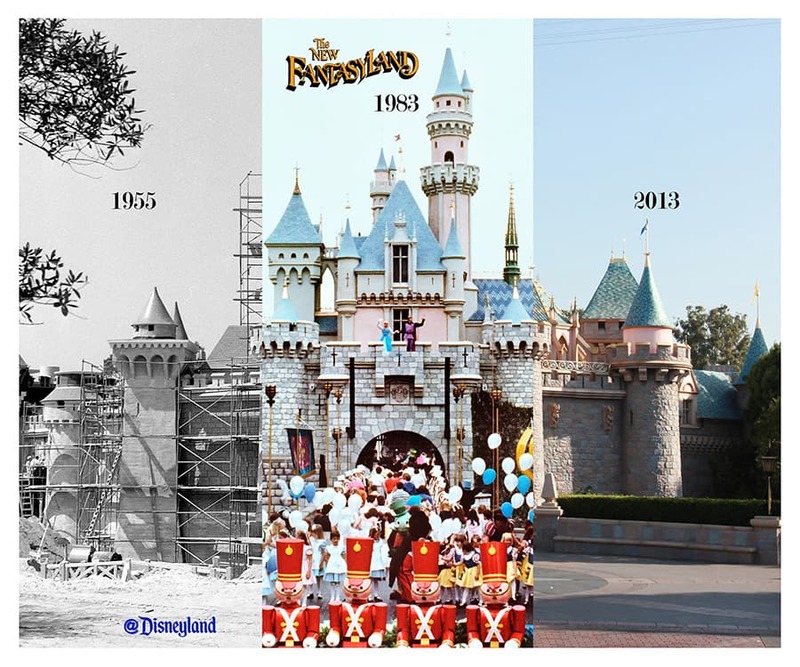 But nearly thirty years later, “The New Fantasyland” expansion brought Walt’s original dream to life. 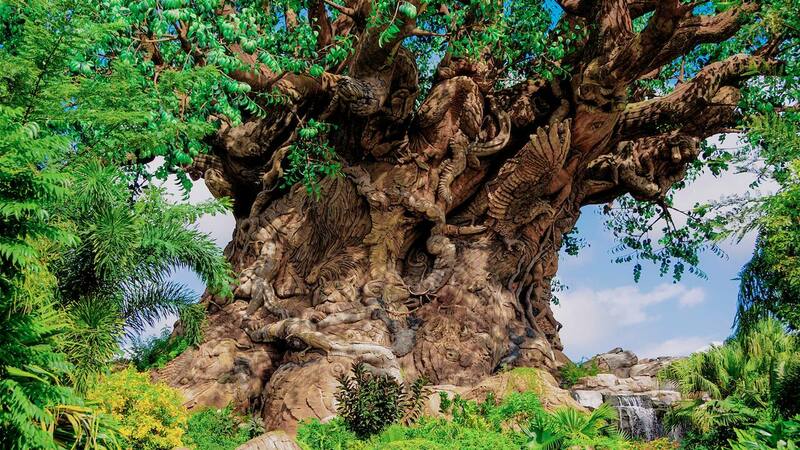 The architecture and facade of each attraction became an extension of the stories that lie within. “The New Fantasyland” opened at Disneyland on May 25, 1983. 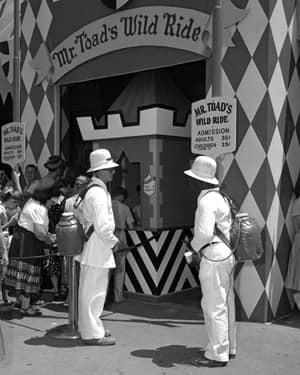 Guests now enter Peter Pan’s Flight through a medieval English clock tower and embark on Mr. Toad’s Wild Ride at a country manor called Toad Hall. On the other side of King Arthur Carrousel, Bavarian or Alpine villages bring you into the worlds of Snow White and Pinocchio. “The New Fantasyland” elevated the storytelling of the entire area, combining architecture, horticulture and other details to create an immersive, fairy tale environment that is now the considered the quintessential Disney Parks experience. Erin, thank you so much for these wonderful posts! 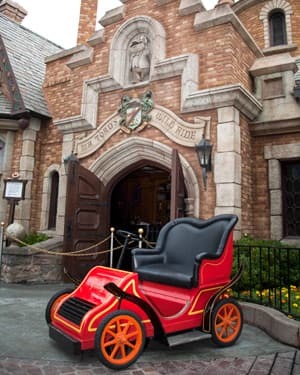 The before and after picture of Mr Toad’s Wild Ride is awesome and leaves me wanting more! I’d love to see more pictures of what Fantasyland looked like when the Tea Cups were right behind the Carousel, when the Pirate Ship Restaurant was there, and before the other dark rides received their facades. I have a few from when I was a child but not of the caliber, I’m sure, of what Disney has on file! Oh I love that center picture of the castle showing Sleeping Beauty in her blue dress!! Happy Anniversary Fantasyland!! Best place to never grow up!